It’s been a busy time at JPR with numerous projects moving forward. I thought it might be useful to share a glimpse of some of the major initiatives and developments in which we’ve been engaged that will allow us to advance our service to the region. In early May, after being passed by Congress with bi-partisan support, the President signed Fiscal Year 2017 appropriations bills, which fund the government for the remainder of the current fiscal year, through September 30. These bills included funding for public broadcasting at current levels for the upcoming fiscal year. We’re grateful to the many JPR listeners who contacted their elected representatives to share their views on this issue. This significant achievement, however, is just one step in preserving the system that has served as a catalyst for creating and sustaining dynamic public radio and television stations across the country. We never forget that we only move forward thanks to your generosity and commitment to our work. In late May, the President sent his full Fiscal Year 2018 budget to Congress. Like the “skinny budget” the Administration issued in mid-March, public broadcasting funding is once again proposed for elimination. The road to a final 2018 budget is a long one and Congress will play a primary role in establishing funding priorities and then writing legislation that provides funding for specific programs, including those that support local public radio stations like JPR. We’ll keep you apprised as this process unfolds in the coming months. 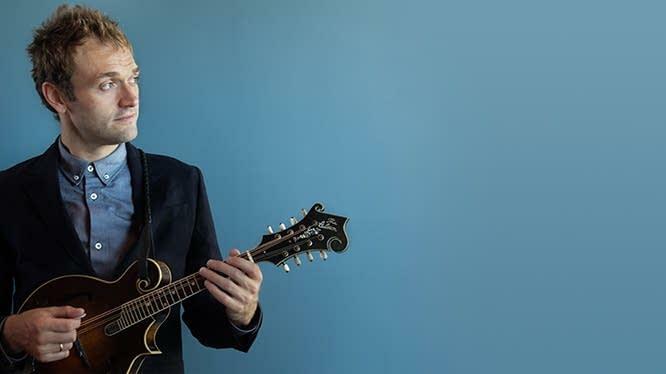 A Prairie Home Companion | Rhythm & News | Saturdays 3pm, Sundays 9pm: A Prairie Home Companion now features Chris Thile, mandolin master of Nickel Creek and Punch Brothers, as its host following the retirement of Garrison Keillor. Thile takes the show in a fresh direction, while preserving the best elements and creative spirit that made A Prairie Home Companion a treasured audio ritual for millions of listeners. Look for your current favorite Saturday Rhythm and News programs a little earlier in the day as we say farewell to Car Talk following the program’s retirement. BBC Newshour | News & Information | Weekdays at 1pm: The BBC’s flagship live mid-day program features the clear, rigorous international news reporting for which the BBC is known. Other weekday News and Information programs will move to a little later in the day. Planet Money & How I Built This | News & Information | Saturdays at 10am: NPR combines two innovative programs for an intriguing and fun hour of radio. Planet Money explains the economy with playful storytelling and deep dive, roll up your sleeves journalism that has earned it a Peabody award and a loyal podcast audience. How I Built This is hosted by TED Radio Hour host Guy Raz and features innovators, entrepreneurs, and idealists who take us through the journeys they took to build their now-iconic companies. Featured guests include the founders of Lyft, Patagonia, Zappos, Spanx, Samuel Adams, Instagram, and more. Ask Me Another | Rhythm & News | Saturdays at 10am: Ask Me Another makes its Rhythm & News Service debut, following Wait, Wait Don’t Tell Me which moves to 9am. With a rotating cast of funny people, puzzle writers and VIP guests, Ask Me Another features the wit of host Ophira Eisenberg, the music of house musician Jonathan Coulton, and rambunctious trivia games, all played in front of a live audience. Chamber Music Society of Lincoln Center | Classics & News | Saturdays at 3pm: Hosted by Elliott Forrest, Chamber Music Society of Lincoln Center features live recorded performances by leading chamber music players from around the world. Programs include engaging commentaries from CMS Co-Artistic Directors David Finckel and Wu Han as well as the performers. Hidden Brain | News & Information | Saturdays at 11am: A one-hour version of the fascinating research and discoveries about human behavior told by the endearingly nerdy Morning Edition and All Things Considered contributor Shankar Vedantam. Hidden Brain explores the unconscious patterns that drive human behavior, the biases that shape our choices, and the triggers that direct the course of our relationships. Over the summer, you’ll hear the TED Radio Hour in this timeslot as we await Hidden Brain’s debut. In recent months, we’ve been developing technical plans and slogging through FCC rules to address several reception issues in the region. We successfully obtained an FCC construction permit to move our Grants Pass Rhythm & News Service translator to a new site and switch its frequency to avoid interference from a station that recently signed-on. After we implement this change later this summer, our Grants Pass Rhythm & News listeners should have a clearer signal in most areas at 97.5FM (it’s now at 97.7FM). In addition, we’ve completed the engineering and filed an FCC application to move our Classics & News Service translator in Redding to a new frequency and raise its power. If approved by the FCC, this change will improve reception significantly for Shasta County Classics & News listeners while also shielding our translator from interference. We also expect this project to be completed later this summer or in early fall. Next on our agenda is an evaluation of how our translator network is serving coastal listeners with an eye toward how we might provide additional or improved service. Thank you for supporting these undertakings -- we never forget that we only move forward thanks to your generosity and commitment to our work. In the last issue of the Jefferson Journal I wrote about the uncertainty surrounding continued federal funding for public broadcasting following the 2016 election. Since the beginning of the year several developments have taken place that inform this issue. 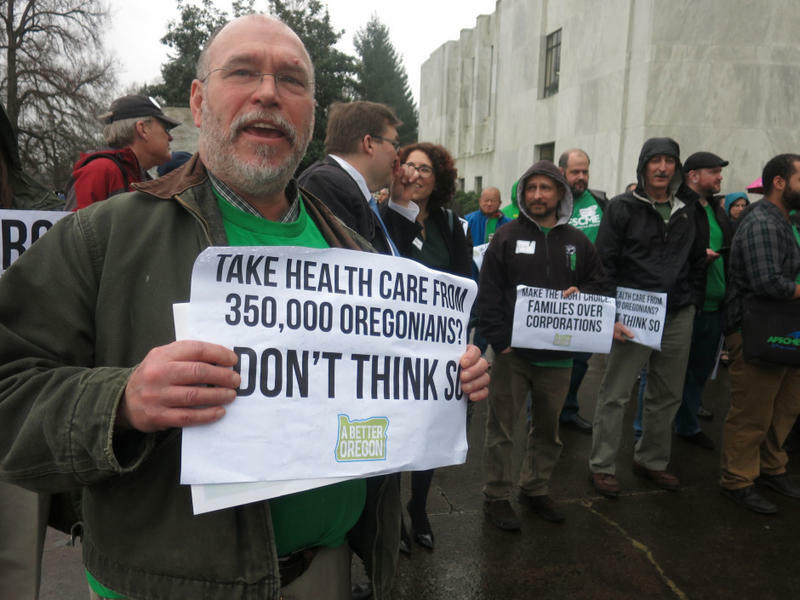 Oregonians who don’t want to see the Affordable Care Act repealed are rallying around the state, with some of them voicing their concern in Salem Monday.